Botox injection is the most commonly performed cosmetic procedure worldwide. 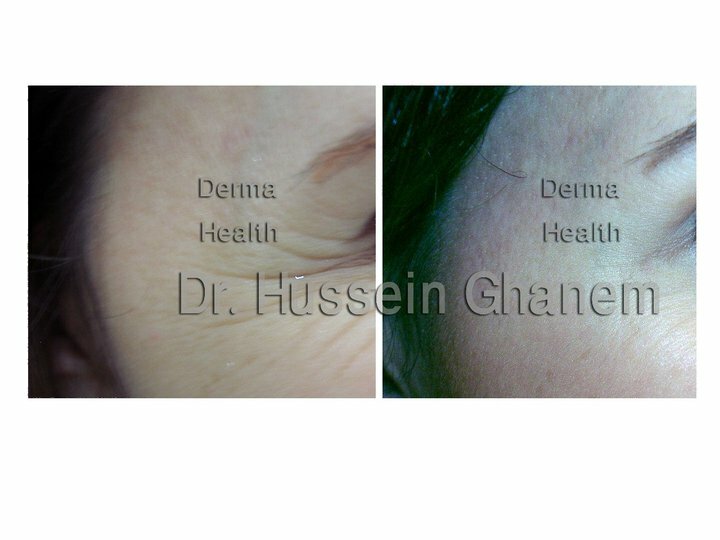 Dr. Ghanem Heba developed an advanced botox injection technique in DermaHealth "Geometric botox injections". 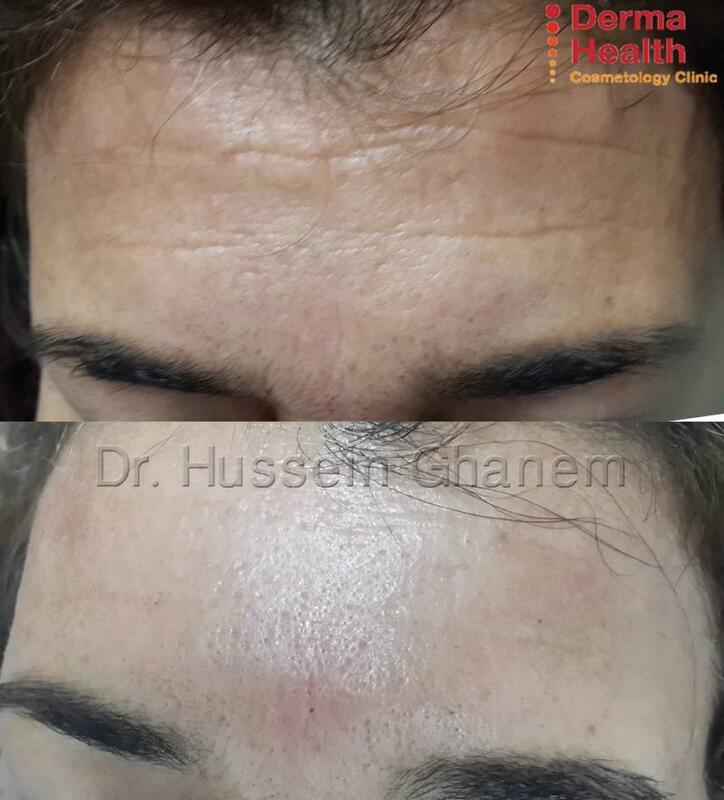 Botox injected in small doses in the desired places, causes temporary muscle relaxation thus treating wrinkles. Botox has been used for over 25 years with no long-term side effects in adults using it for cosmetic purposes. Short term side effects rarely occur and need to be discussed with your doctor. Before treatment: Stop Aspirin and blood thinners. Avoided in certain neurological disorders. 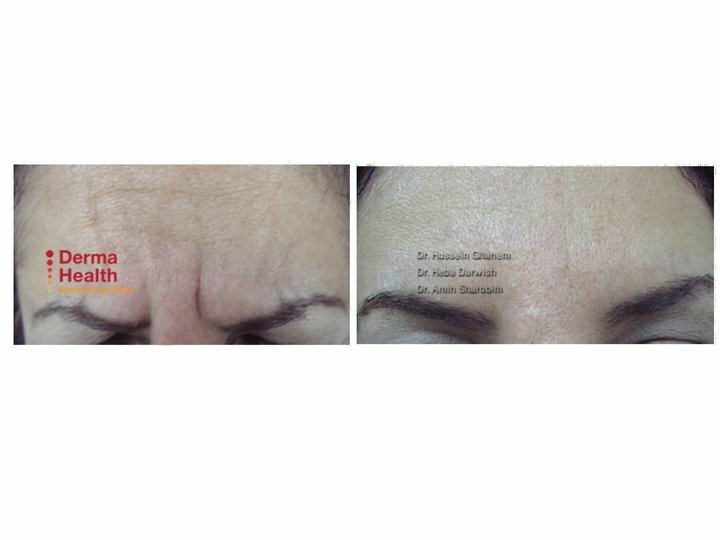 Botox + Filler treatment for advanced crows feet.